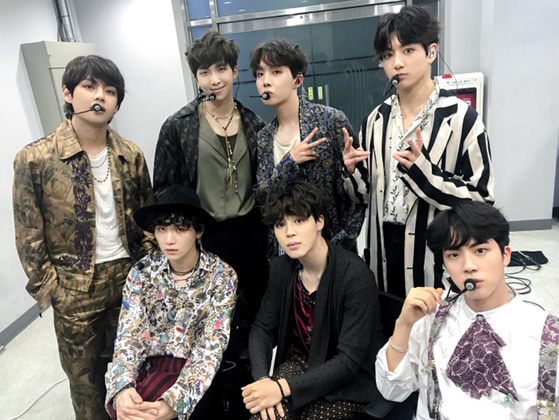 BTS is creating another Korean wave in China, which is where the so-called 'Hallyu ban' had been issued due to the situations surrounding THAAD(Terminal High Altitude Area Defense) deployment in Korea. 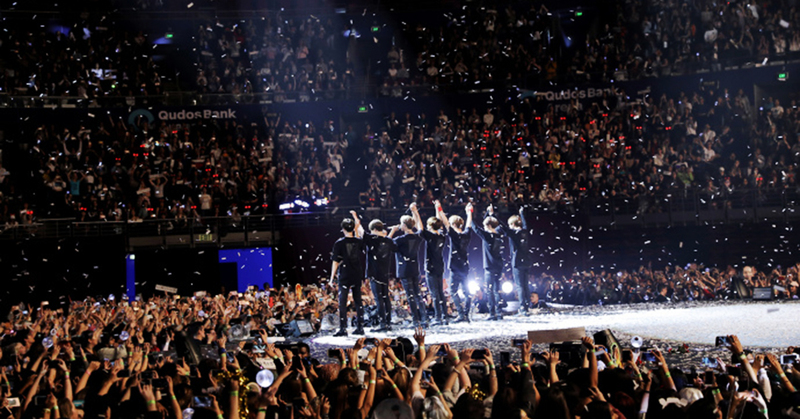 On June 26, Global Times, a Chinese state media, conveyed this atmosphere through an article titled 'Chinese Fans Share Their Love for BTS Who Broke Records'. The news said, "While the Korean boy band BTS, made the headlines on global press by topping Billboard 200 chart, Chinese fans are also cheering and going crazy for them. " The report also mentioned that June 12 is the group's 5th anniversary and that, "While BTS became the first ever Korean artist to top on a Billboard chart, just a few years ago, they were still a small band with a weak fan base." 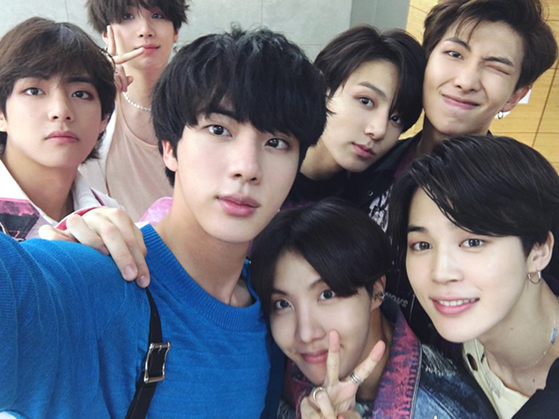 A fan who's a member of 'English Articles Translating Group' of BTS' Chinese fan club, said, "Most songs of BTS are written by themselves or co-written with other musicians, and by reflecting young people's thoughts, they reveal how we can face the unjust world with positive attitude and courage." Another member of the fan club said, "When artists earn awards, most of them say thanks to their parents or agencies. On the other hand, BTS never forgets to express gratitude for ARMY." The number of followers on BTS' official Weibo went over 1.3 million, which is a number exceeding other Korean groups. The latest post uploaded on June 12, was a group selfie celebrating their 5th anniversary and over 100 thousand Chinese fans pressed 'like' and over 10 thousand of them reposted this photo. Moreover, tickets for BTS' China concert held in 2016, was originally priced 400 yuan, but when they were sold by ticket brokers, rocketed over 2,000 yuan. Global Times delivered the voices of Chinese fans who are concerned they might not be able to get the tickets for BTS' Seoul concert, assuming from the sold outs of concerts in America and Europe.